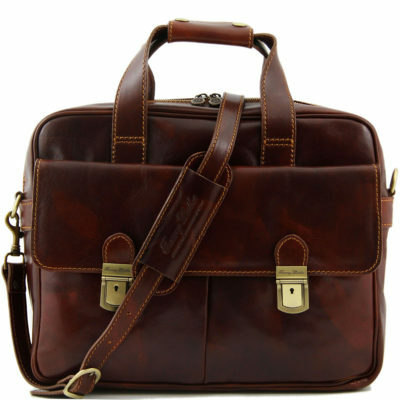 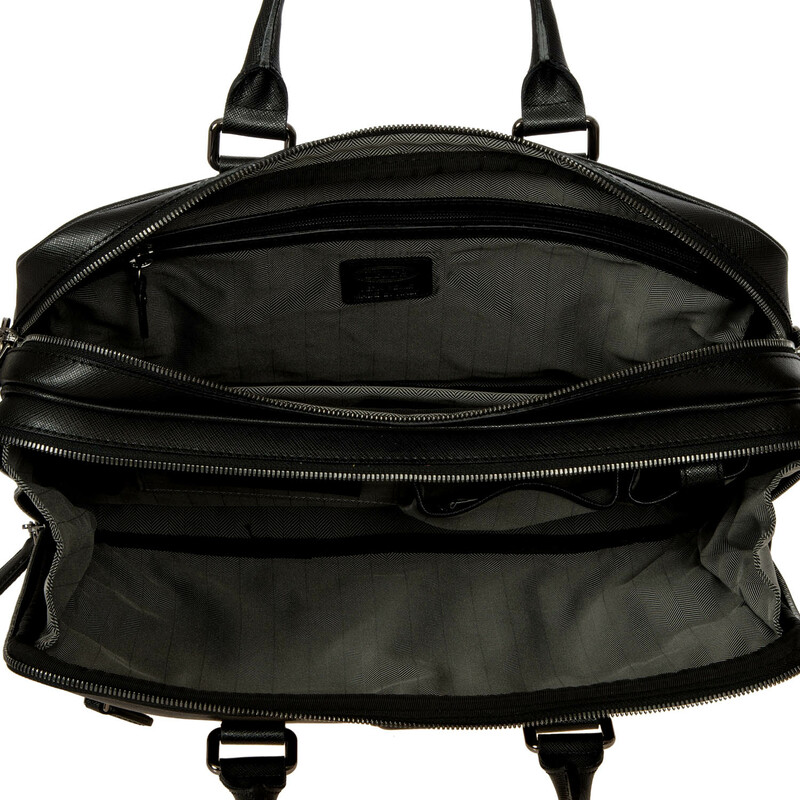 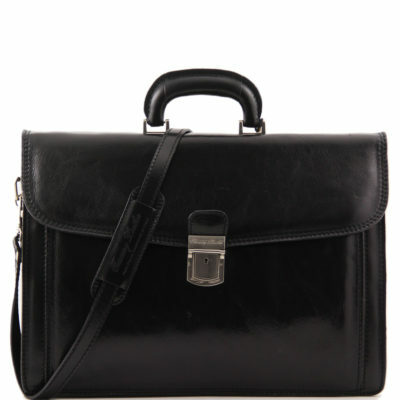 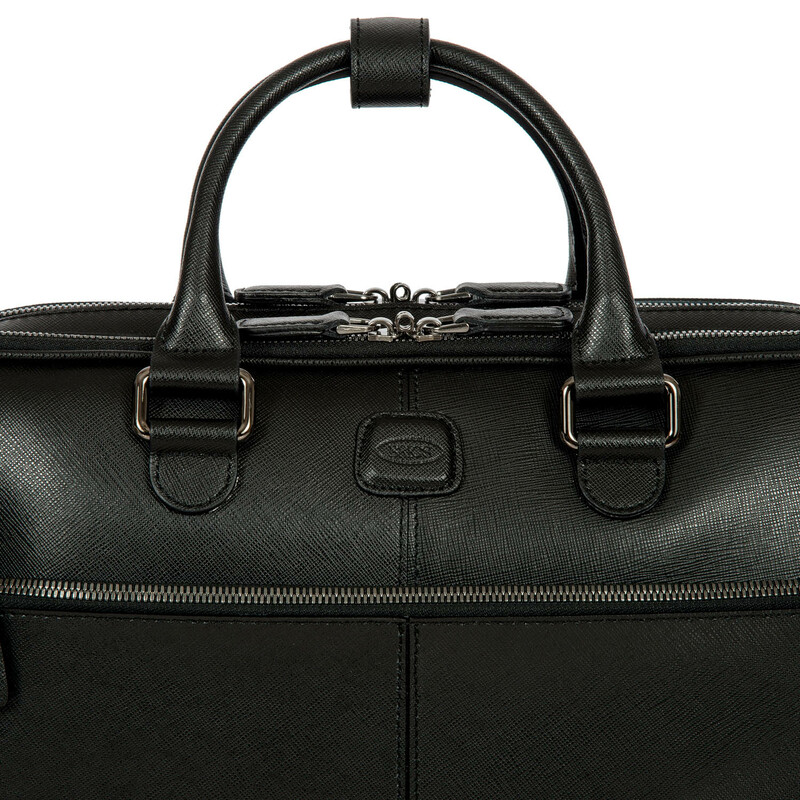 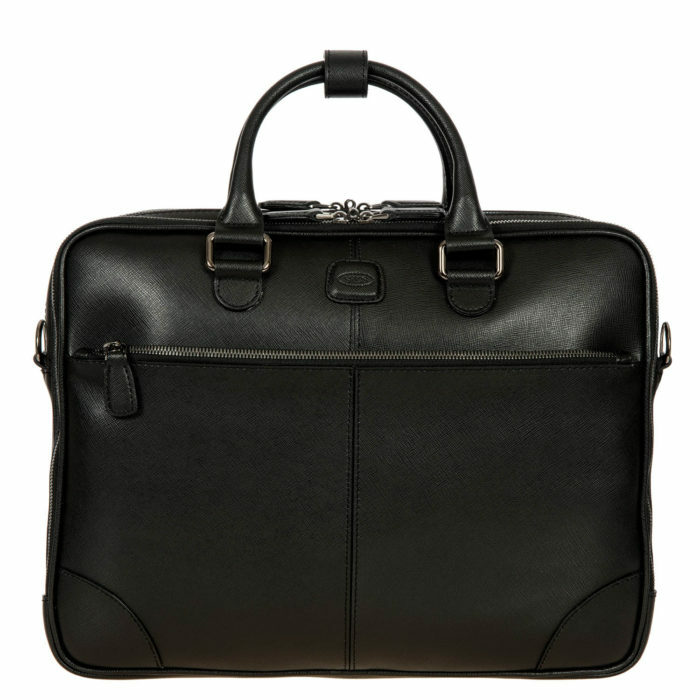 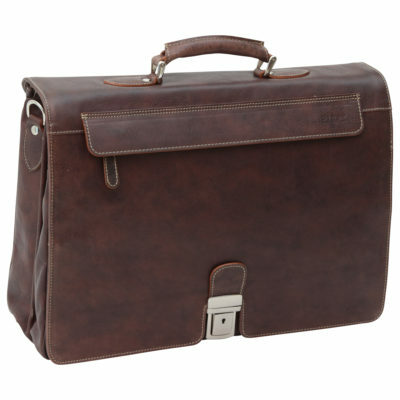 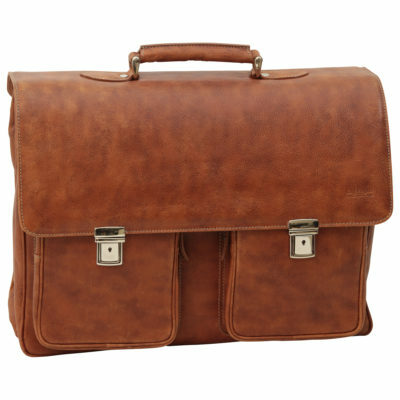 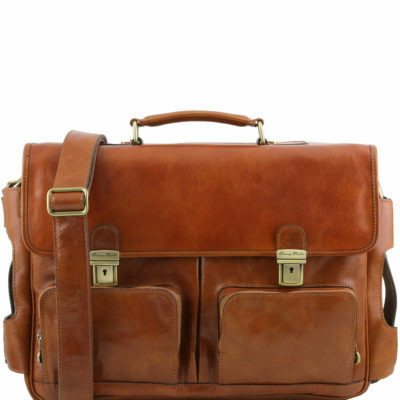 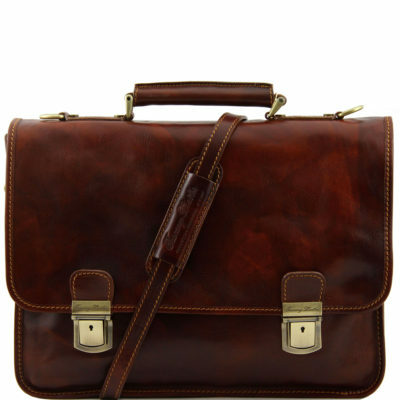 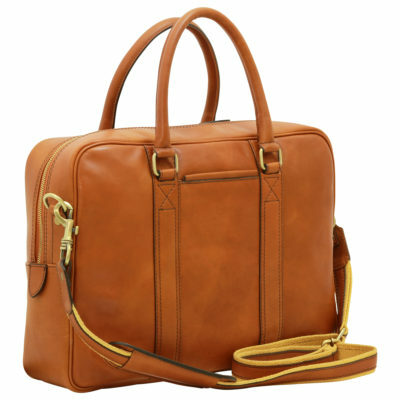 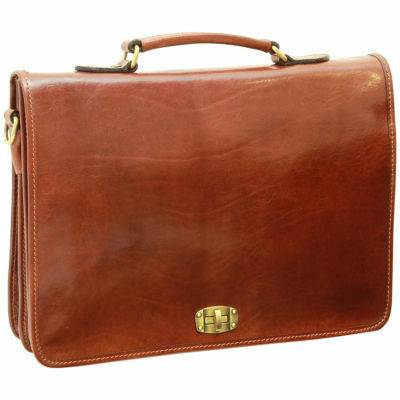 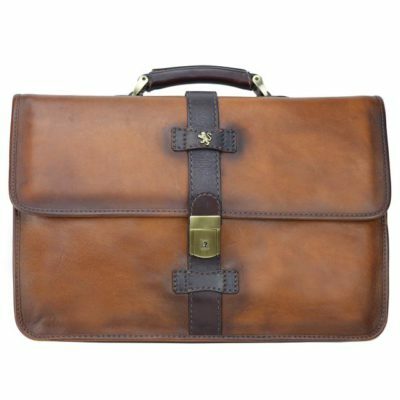 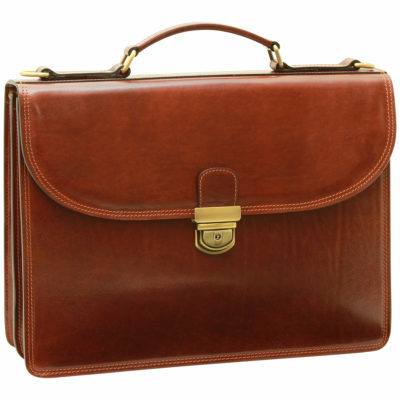 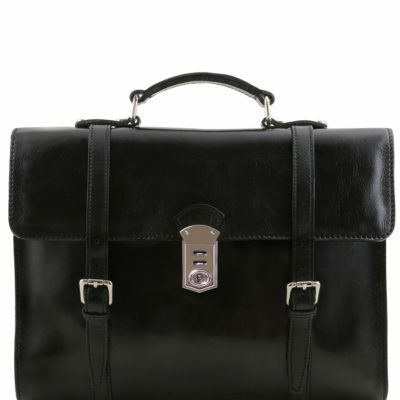 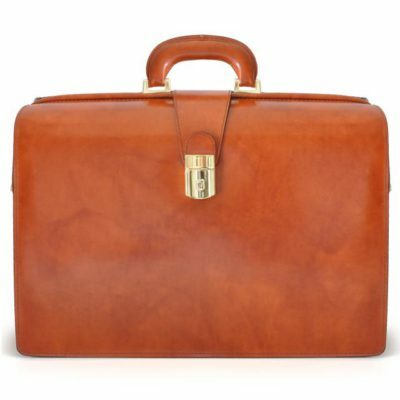 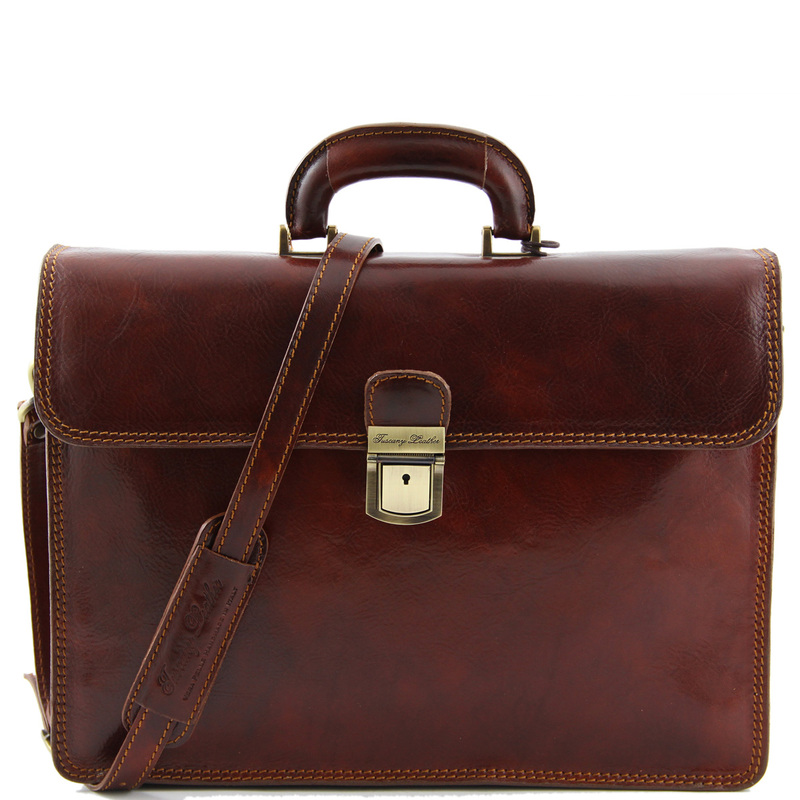 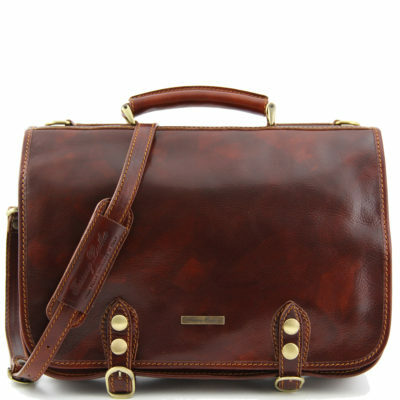 Laptop briefcase from Bric’s Varese collection. 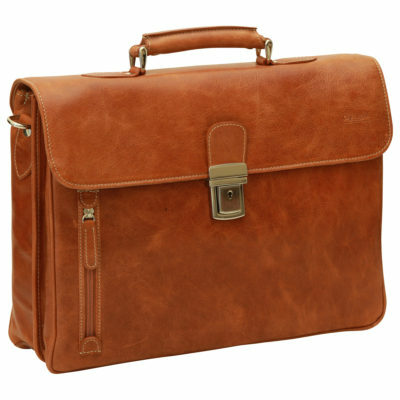 This briefcase is made entirely from cowhide with a saffiano-effect texture on the surface and has been designed for people who are always on the move and want to keep all their documents with them in an orderly fashion, without sacrificing style. 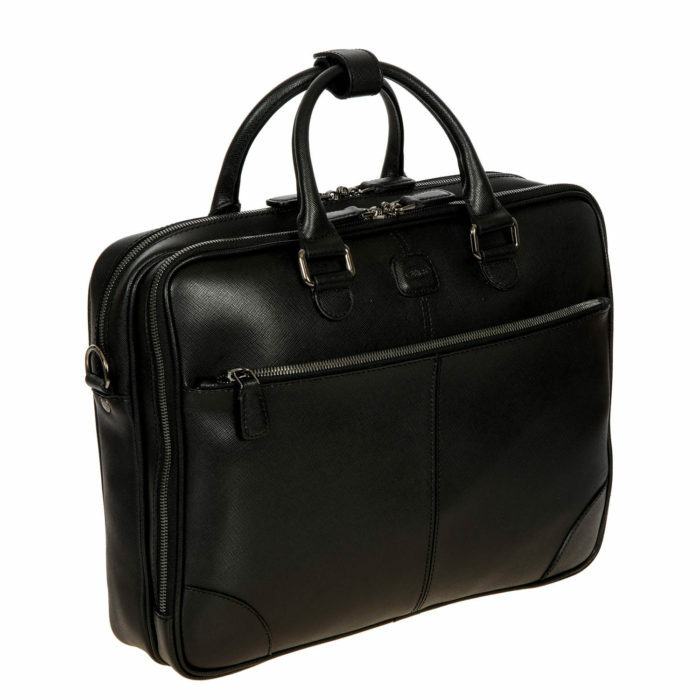 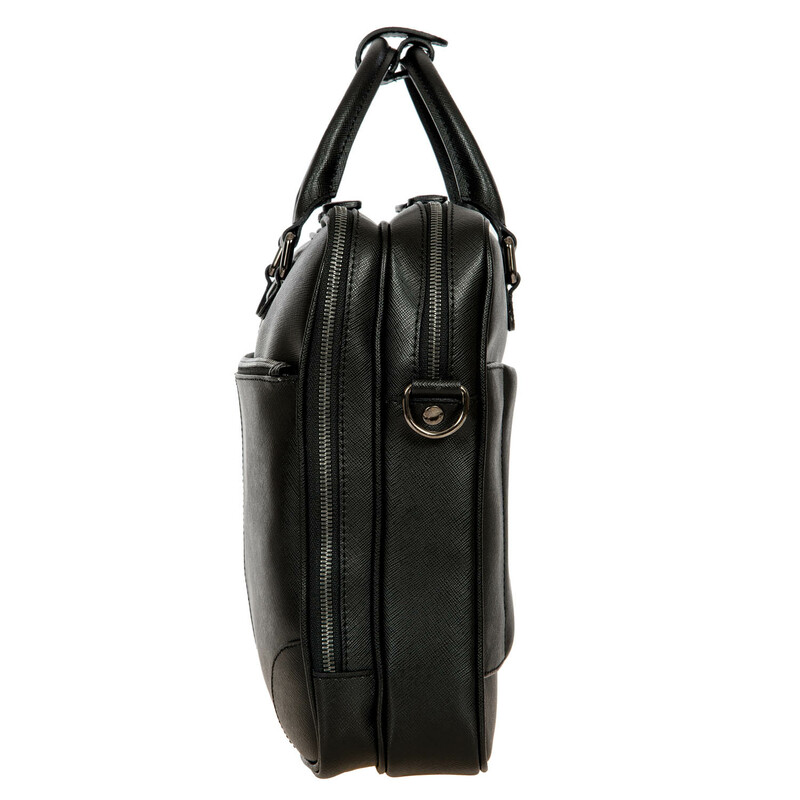 EXTERIOR: two compartments with zip closure and two handles, a practical external pocket with zip and includes a strap with zip on the back so that you can have all your documents and most used items at hand. 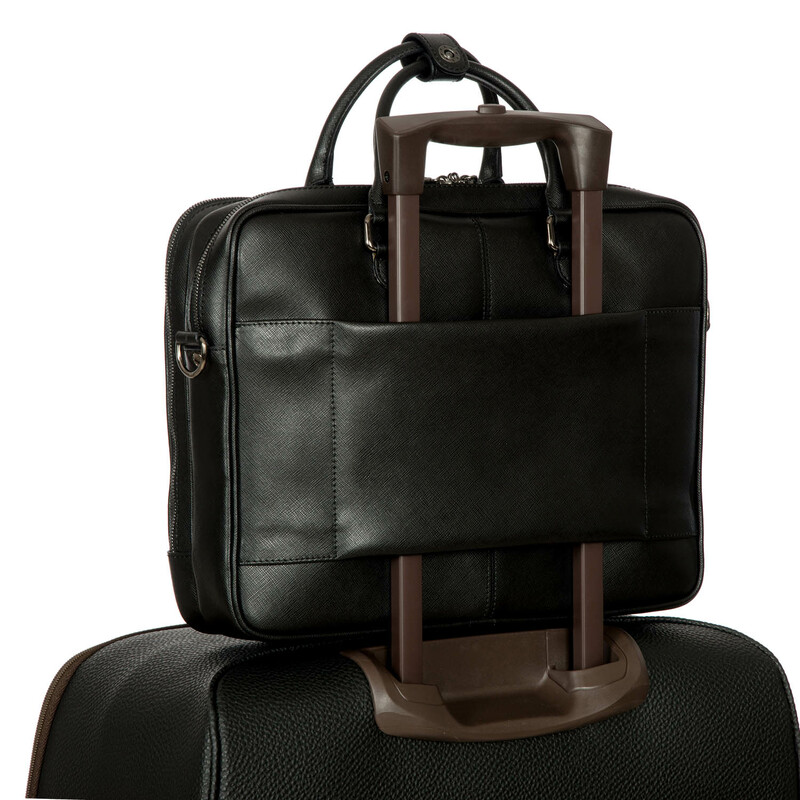 When required the strap can be useful for attaching the briefcase to the carry-on trolley handle, making it easy to carry. INTERIOR: herringbone-look jacquard fabric, the first compartment is equipped with two small pockets that are useful for storing a phone or cables, two business card holders and two pen holders; the second compartment includes two large padded pockets with a Velcro fastening for holding a laptop or tablet, as well as a large zipped pocket.